THIS 8 BEDROOM,4 AND A HALF BATH MANTOLOKING BAY FRONT HOME WAS BUILT IN 2016.IT IS PERFECT FOR A LARGE FAMILY WITH ALL CHERRY HARDWOOD FLOORS THROUGHOUT, LARGE OPEN KITCHEN WITH HIGH END APPLIANCES AND WHITE MARBLE COUNTERTOPS ,AND AN ELEVATOR AND 2 MASTER SUITES. WALK INTO A LARGE FOYER TO THE RIGHT A LARGE LIVING ROOM WITH GAS FIREPLACE,A GREAT ROOM WITH VIEWS OF THE BAY,A WONDERFUL DINING ROOM,NEW WHITE EAT IN KITCHEN WITH WHITE MARBLE,AN OFFICE AND A HALF BATH.THERE ARE TWO ELEVATORS,ONE FROM THE GARAGE TO FIRST LEVEL AND AN ELEVATOR TO THE THIRD LEVEL. YOU CAN WALK TO THE BEACH OR RIDE YOUR BIKE TO THE TOWN OF BAY HEAD. ALL THE BEDROOMS ARE GRAND AND THE THIRD LEVEL IS PERFECT FOR A GRAND KIDS WITH 3 BEDROOMS,SITTING ROOM AND A BEAUTIFUL BATHROOM. PERFECT HOME FOR SUNSETS . The data relating to real estate for sale on this website is provided in part by Berkshire Hathaway HomeServices Fox & Roach and the IDX program of the Monmouth Ocean Multiple Listing Service. Information deemed reliable but not guaranteed. The property information provided on this website is for the personal, non-commercial use of consumers and may not be used for any purpose other than to identify prospective properties consumers may be interested in purchasing. 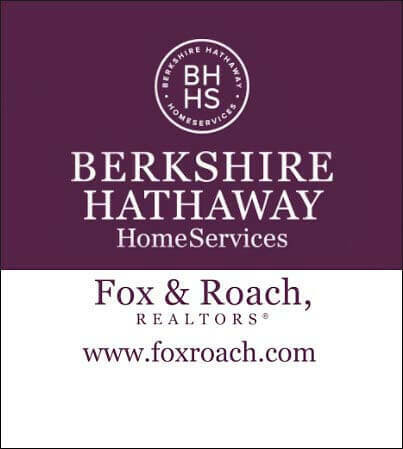 © 2019 MOMLS and Berkshire Hathaway HomeServices Fox & Roach. Allrights reserved.